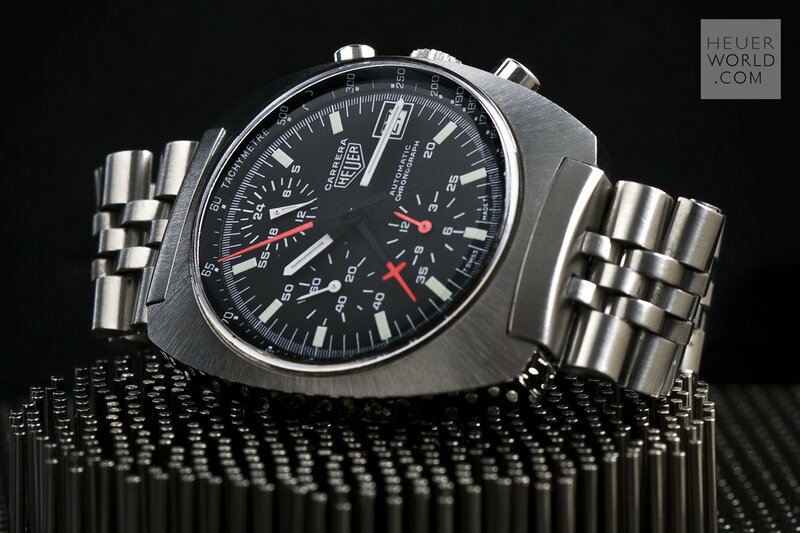 The Heuer Jarama is a blend of elements of other models that came before it but has a unique case that is representative of the era in which it was born. It was launched in 1977 and three references were produced all in the same case. The black dial came with either a flat mat black or machine turned gold bezel. The third example has the gold bezel and a champagne dial. All three have the same style hands and are powered by the automatic Calibre 12 movement. Matching steel and coated bracelets were optional and these were made by NSA with Heuer engraved on the clasp.